Beautifully renovated 1-bedroom condominium in the desirable Columbia Street Waterfront District. 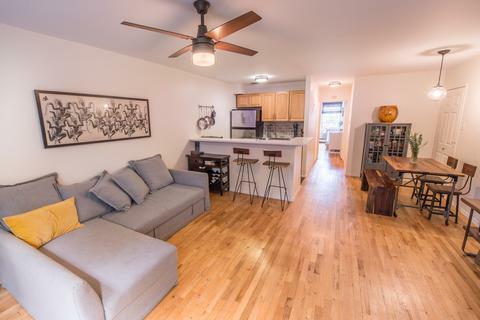 Bright, airy, and spacious - the open floor plan and light oak hardwood floors make this apartment feel much bigger than its 600 square feet. A rarely available unit on the most desirable block in the CSWD - a quiet, tree-lined street with front yards that has the feel of living in the suburbs. Cherry tree out the front window of this second floor unit adds privacy, fall colors, and magical springtime blooms. CSWD is a vibrant community, with great restaurants, coffee shops, and community gardens. There are 7 community gardens within 3 blocks of this unit! 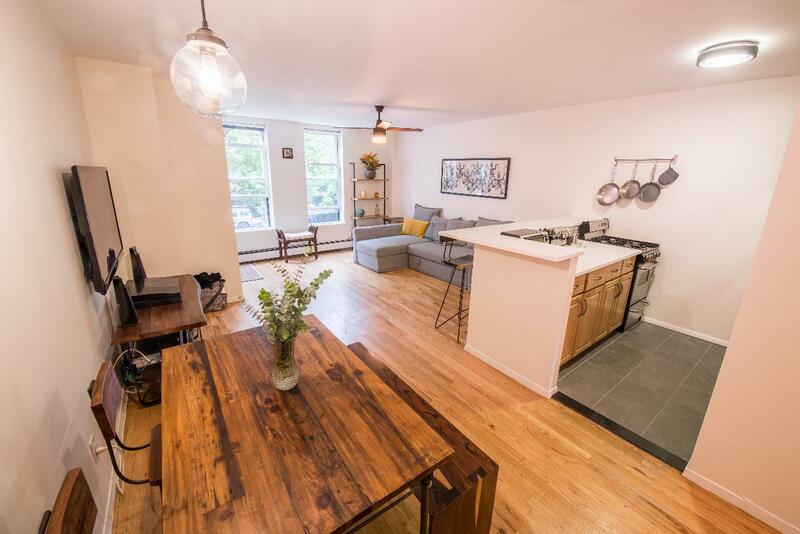 Steps away from B61 bus stop for quick access to downtown Brooklyn, and a short walk to the Carroll station F and G trains. Less than 10-minute walk to some of the best dining and shopping in all of brownstone Brooklyn on Court and Smith Streets; or to the newly constructed Brooklyn Bridge Park and Pier 6. 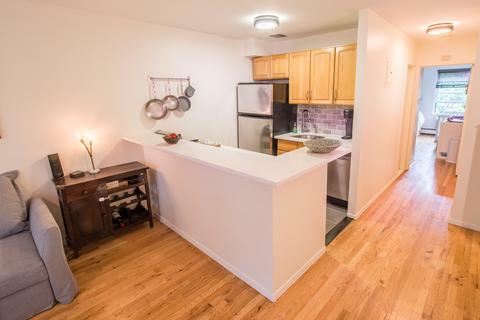 Half a block to the Brooklyn Greenway and waterfront; and amazing lower Manhattan views at the end of the block! Kitchen was completely renovated in 2015, including new stainless steel appliances: gas range, Whirlpool refrigerator and dishwasher. Solid white, high-end quartz countertops (heat and scratch resistant), tiled backsplash, deep stainless steel under-mounted sink, and oak cabinets with plenty of storage complete the modern kitchen. 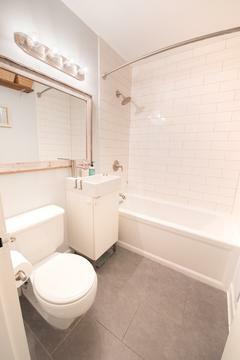 Bathroom was completely renovated in 2016, featuring a deep soaking Kohler bathtub, stainless Kohler fixtures, white subway tile, and reclaimed wood framed mirror and custom shelving. 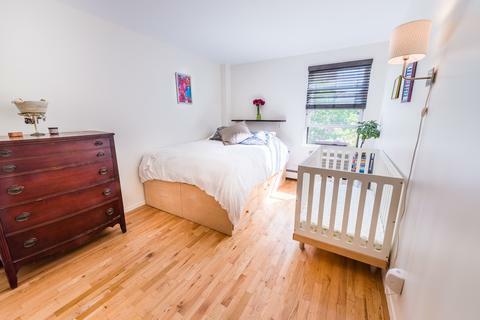 Generous sized bedroom is sundrenched with afternoon light and has a large built-in closet. Washer and dryer in the unit; and a walk in closet/pantry for tons of storage space. Apartment was freshly painted in August 2017. 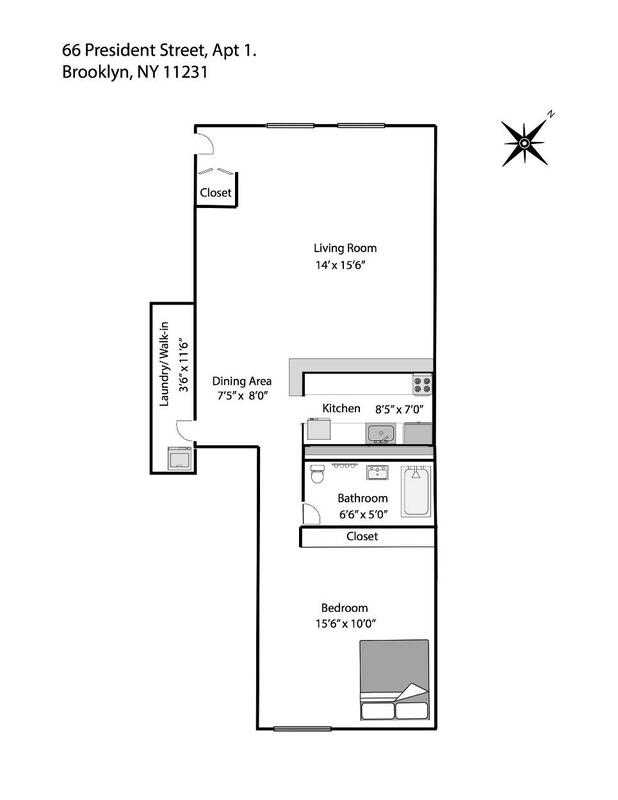 Extremely low monthly CC ($207) & Taxes ($102) make this unit one of the most affordable condos on the market. Zoned for P.S. 29. Open House 9/24 (Sunday) 2:30-4:30pm. Come with your offers ready, this gem won't last! Buyer's agents welcome.